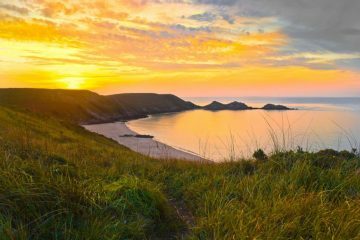 Living in Britain, we’re lucky enough to have a huge range of national parks offering endless opportunities for adventure. 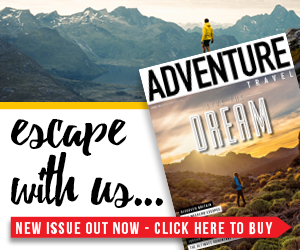 Here at Adventure Travel, we don’t like to choose favourites, but we do have a soft spot for Snowdonia National Park, the beauty spot of North Wales that’s filled to the brim with sensational hiking trails and mind-boggling views. A weekend taking on a few walks in Snowdonia never disappoints. 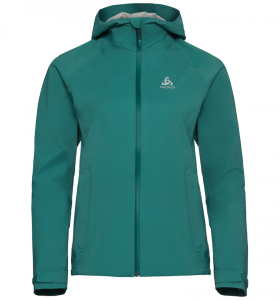 With that in mind, we got together with the folks at Odlo to discover some of Snowdonia’s best walks and take a closer look at the brand’s Aegis waterproof jacket, which is well suited to many of the walks you’ll read about below. At the very least, it’ll help you brave the elements thanks to its 2.5 layer tech-rich fabric and PFC-free durable water repellent (DWR) coating. That’s handy, as for all we love Snowdonia, she sure can be tempestuous when she wants to be! So, without further ado, here are some of our favourite walks in Snowdonia. 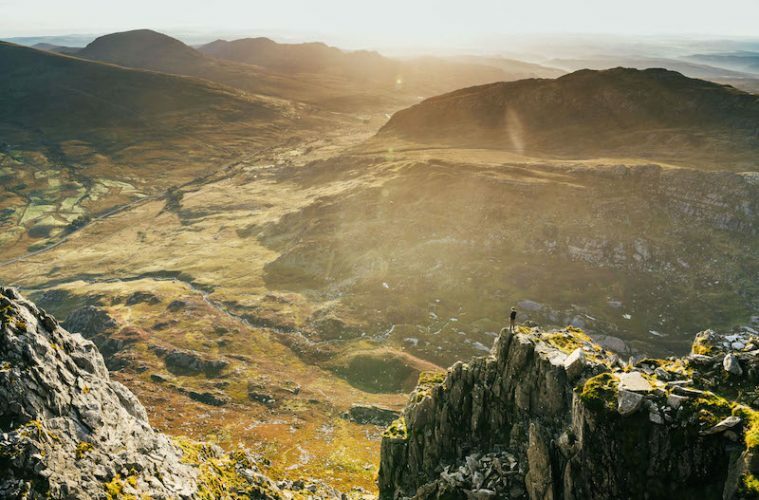 A list of stunning walks in Snowdonia could not be complete without a mention of it’s highest peak, the park’s pièce de résistance, and also the highest mountain in Wales. Snowdon (1,085m) is a challenge that never gets boring, and with six different routes to the summit, you’ll always have plenty of choice. 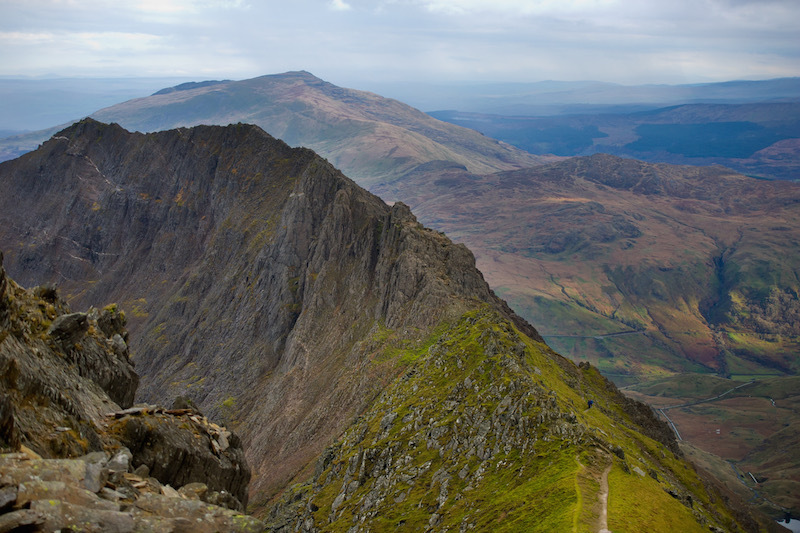 For spectacular views and a little extra challenge, we love the classic Snowdon Horseshoe, a circular seven-mile route that includes a tricky traverse and hefty grade one scramble along Crib Goch. It’s not one for poor conditions, as there’s a good deal of exposure on the ridge, so don’t try to attempt it in high winds. 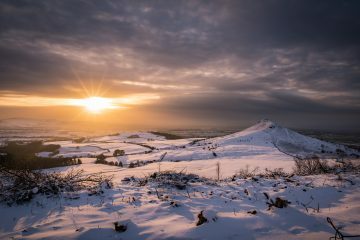 You may also want to head out early to beat the crowds of peak summer. The Minffordd Track is a beautiful and classic route for the lesser-hiked, but equally beautiful Cadair Idris (893m), found in the southern end of Snowdonia National Park. 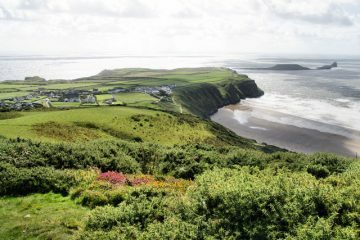 You’ll begin your hike from the Minffordd Car Park and ascend through magical ancient woodland, complete with the ethereal tumbling falls of Nant Cadair. Before long, you’ll spot the handsome Llyn Cau tucked neatly at the foot of the mountain, a delicious spot for lunch. 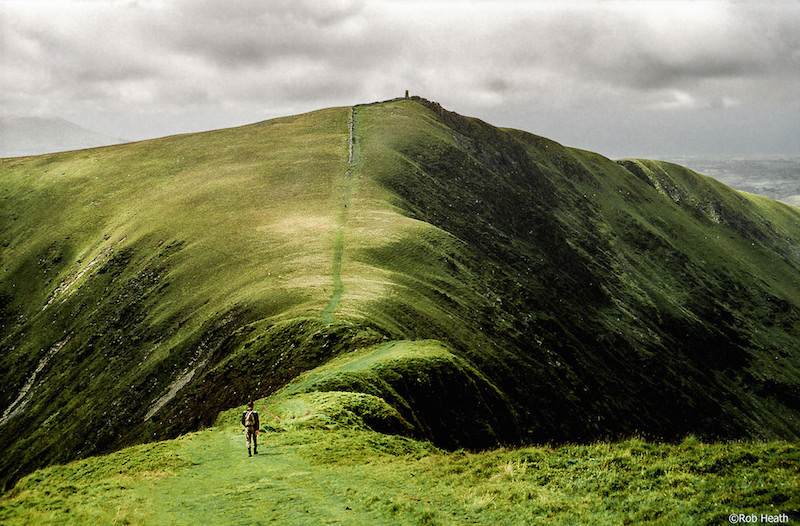 A steeper ascent to the summit follows as fantastic views as far as the Cambrian Mountains open up. 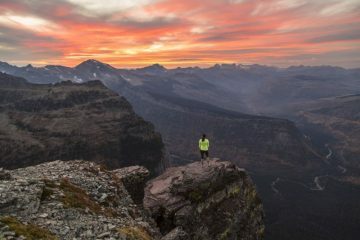 Once you’ve soaked up the views from the top, you can follow the ridge to head back down and complete the six-mile hike. 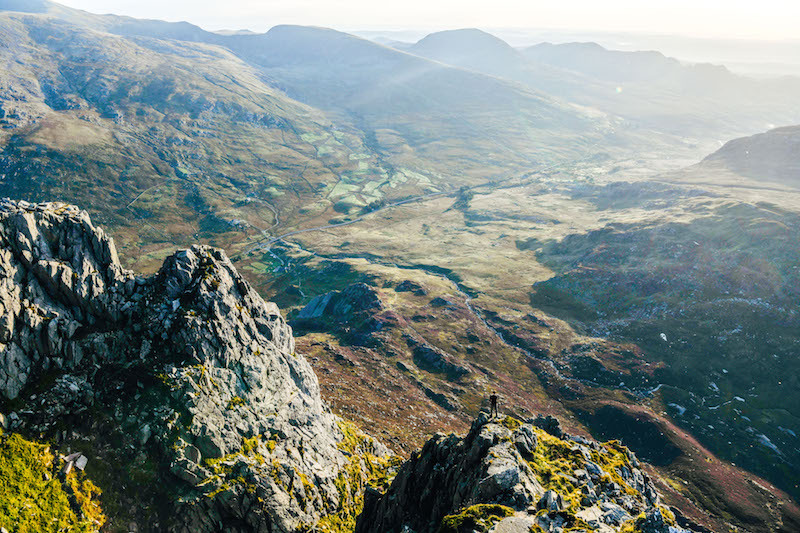 The unusual shape and remarkable jagged pillars of Tryfan (917m) make this striking mountain an irresistible climb, and one of the most incredible walks in Snowdonia. You can ascend via the iconic North Ridge, on which you’ll almost certainly have to use your hands to scramble up from Llyn Ogwen to Adam and Eve, the mountain’s two peculiar pinnacles of rock which sit atop its summit. Once you’ve admired the view of Snowdonia sprawling before you at the summit, you can descend back down the South Ridge, until you reach the triangular climbing slabs of Tryfan Bach (little Tryfan), where you’ll leave the mountain behind you. For many, the exhilarating Nantlle Ridge competes closely with the Snowdon Horseshoe as the two best ridge walks in Snowdonia. An eight-mile traverse of its spine from the Rhyd-Ddu car park to Cors Y Llyn makes for an adrenaline-charged day out, with plenty of steep scrambles and mind-boggling views thrown in. The first part of the hike enjoys backwards views to Snowdon, while you’ll need a good head for heights upon reaching the ridge itself and summiting the various peaks along the route. The first summit of Y Garn affords a wonderful outlook of the ridge itself and provides a scenic yet sheltered little spot to stop for lunch. This pair of giants are often tackled from the Ogwen Valley, but there is another way. 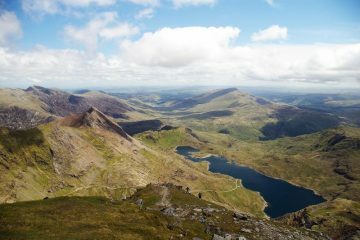 When the northern slopes are packed with people, this six-mile day hike from Pen-y-Gwryd is a fantastic alternative, offering long-standing, beautiful views of the Snowdon Massif for much of the ascent and descent. 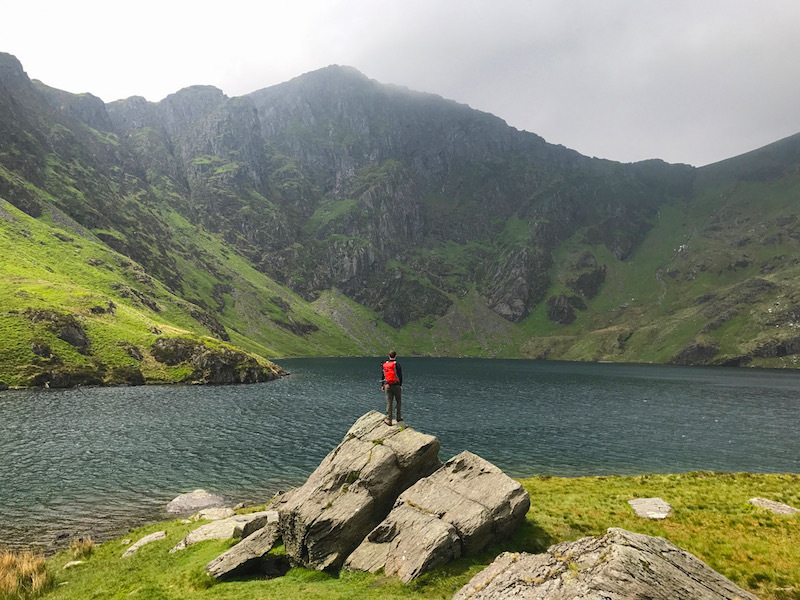 Rocky ridges, hidden lakes and a feeling of solitude only add to this walk’s appeal, and it’s best enjoyed on a clear day to maximise your ability to soak up wider Snowdonia. The circular route begins at the Pen-y-Gwryd hotel and ascends through the marshes and past an attractive lake to the imposing summit of Glyder Fawr (999m), offering extensive views all the way out to the Irish Sea. 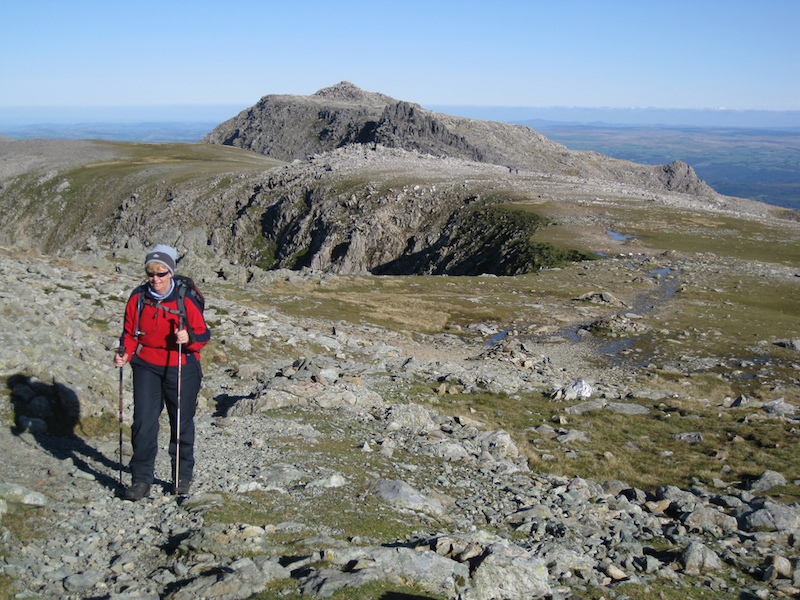 Head eastwards to summit Glyder Fach (994m), a measly five metres below, before dropping back down towards the distant glistening pool of Llyn Caseg-fraith. Snowdonia is wonderfully rugged and wild, a beautiful show of nature that cannot by contained or controlled. Despite our best hopes and prayers, you are never without a chance of rain in this stunning little corner of the world, and so it’s best to come prepared with a decent waterproof that will hold up when the weather hits. 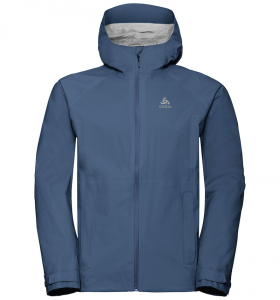 Odlo’s Aegis waterproof jacket may be just the ticket. It’s the perfect defence against the elements, with a 2.5-layer tech-rich fabric treated with a PFC-free DWR coating to keep the wet stuff at bay. It’s also incredibly lightweight, and packs away into an integrated pocket, so you can easily throw it in your pack for dry days when the weather might surprise you.